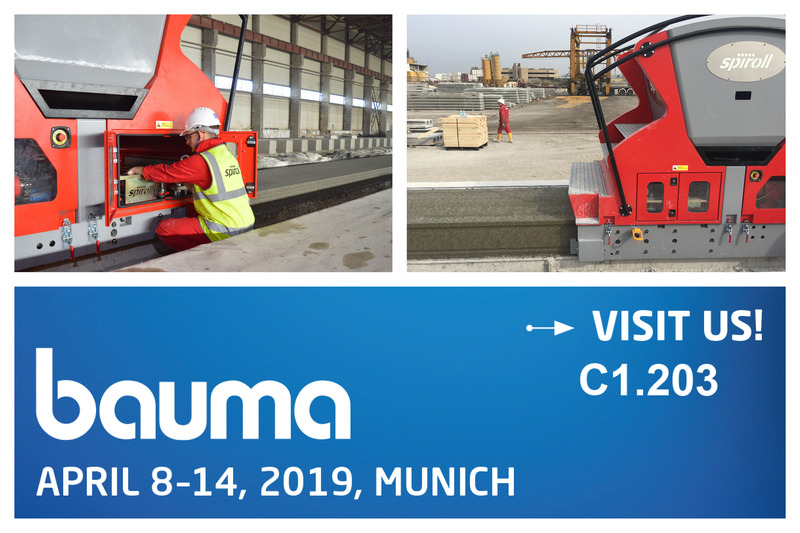 Bauma 2019 is just around the corner and Spiroll is looking forward to exhibiting at the much-anticipated event and will be available on stand 203 in hall C1. Spiroll is taking this opportunity to meet with clients old and new and discuss its equipment and services on offer to the precast industry. These range from providing specialist machinery and equipment for precast concrete manufacture, to delivering the highest levels of service and efficiencies for precast factories. Spiroll also provides turnkey solutions for start-up factories, on-site manufacturing facilities and comprehensive factory set ups. The high-performance Vortex extruder, that minimises downtime, provides production efficiencies and reduces the cost of hollowcore slab production, will be on the Spiroll stand, as well as a range of prestressing products and equipment.